Every bar in every city across the globe seems to lay claim to an innovative new drink and everything from fashion to music has influenced drinking trends. The cranberrytini and the kiwi mojito have both come and gone. The truth is that few cocktails have managed to achieve cult status and survive the test of time. The following are some of the most famous and best-loved cocktails. Dish these up at your party and your guests are going to be a very merry bunch. The recipes to these iconic drinks are listed below. Before you embark on a mixing session, get some equipment ready: a cocktail shaker, plenty of ice, a few lemons, limes, a measuring glass, high ball glasses, martini glasses and of course as many different types of alcohol as you can lay your hands on! Some of these drinks require multiple ingredients which goes some way to explain why the price tags are normally so steep in the bars and clubs! Try and follow the recipes as closely as you can. Of course, you want your party to go with a bang but overestimating the alcohol measures might take you and your guests into dangerous territory. Cut the lime into eighths and place into a glass with the sugar cubes. Mix them and fill the glass with ice. Top up with the cachaca, stir and serve. freshly squeezed lime juice and some crushed ice. Pour all of your ingredients into a cocktail shaker and shake for 10 seconds. Simply pour into a cocktail glass and serve. A drink for the sophisticated, open your best champagne and indulge. Pour the crème de cassis into a flute; pour the champagne in very gradually. The champagne should make up 80% of the drink. Mix the ingredients in a tall glass. 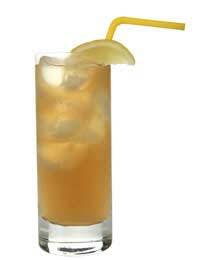 Pour the cola in last, stir and garnish with a lemon wedge and a straw. Simply stir the ingredients together or use a cocktail shaker if you have one. Strain in to a martini glass and serve. A good basic, the margarita can be as strong as you like. Don't forget the salt! 25ml freshly squeezed limo juice. Add ingredients together and shake for 10 seconds. Serve in a salt-rimmed martini glass. Creamy, comforting and Moorish, the White Russian is a perfect nightcap for those late night parties. 25ml single cream and ice. fill a glass with ice and pour the vodka and kahlua in. The cream should then be added and layered on top. Serve. So there you have it - your recipe to party success. Of course, if you want to add that something extra you could follow the lead of Tom Cruise in Cocktail and try a dramatic and daring mix routine! Our advice? Simply follow the recipe, mix and serve and enjoy your concoctions!